There has finally been an announcement from O2 Germany that Froyo update for Motorola MILESTONE will come in September, which is one of the most popular Android handset. After the upgrade to a much faster and more capable Froyo, there will be Flash 10.1 supporting browser too in addition to many other features. Earlier announcement that Android 2.2 may not come on MILESTONE had disappointed many fans, but finally it is coming, fans will finally be happy. 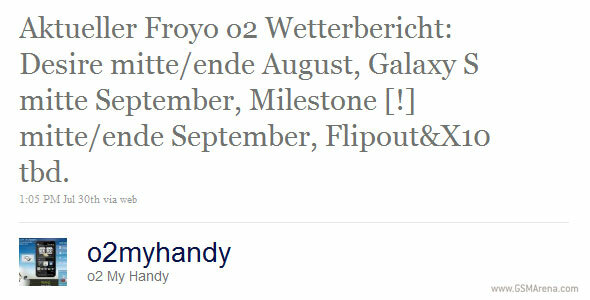 O2 Germany also told that Motorola MILESTONE using Android 2.2 will be available in September 2010.